Главная / Продукция / Матрасы / Series "PEAK OF COMFORT"
“INNSBRUCK” from “NEOLUX” is the embodiment of true luxury and comfort. Every mattress of this series is made with hands and special love and care about the customer. Careful selection of high quality materials gives to the mattresses of series «PEAK OF COMFORT» highest quality and unique appearance. Plunge into the world of real comfort and luxury, feel healthy and comfortable sleep that will restore your vitality and good mood for the whole day! 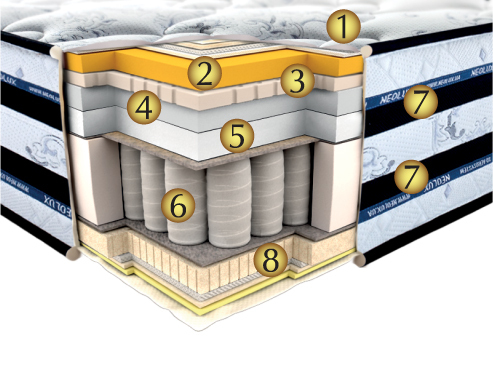 «PEAK OF COMFORT» series of the mattresses from «NEOLUX». It is a healthy sleep on a super comfort mattress.